Many individuals believe that they are only entitled to receive social security benefits after they retire. In reality, if you are disabled you may be eligible for social security benefits if you are disabled at any time. 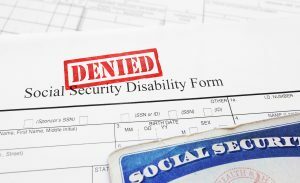 If you have a legitimate disability and have filed for social security disability benefits but were denied, the knowledgeable attorneys at Silver Kolker LLP can guide you through the process of appealing the denial to obtain the Social Security Benefits to which you are entitled.